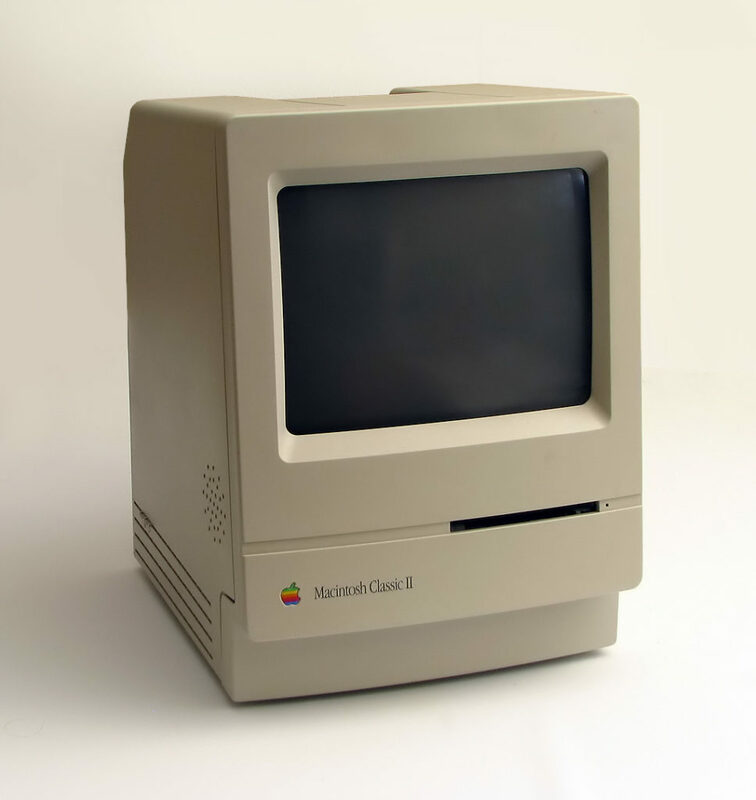 I fired my Mac Classic II up tonight. It has a whole 10MB of hard drive space with 4MB of ram to power the beast. It is running OS 7.1.1. That is really an amazing machine. It has Microsoft works which seems to run faster then Microsoft word on my current PC for a word processor. The whole all in one design is really nice too. There is one power plug for the back of the machine instead of a power cable for the machine and the monitor. There is one Apple Bus plug for the keyboard and the one button mouse plugs into the keyboard so it has a shorter cord and only one cord connected to the back of the machine. I set this up on my desk and it makes my desk look so much better without all the clutter of wires and big bulky cases needed for the pc tower. Sometimes I wish I would not have turned my Macintosh Plus into a fish tank and then other times I am glad. Computers have really come a long way since the Mac Classic II. I just recently moved to a new apartment in Indy. I just got my internet back last night. I will try to update as soon as possible. I would like to add some stuff and make some more content for you all.